it strikes me just how intrusive the game noises are into the recording. After research, I can find no evidence of a club or music event called "Wig Out" related to the 1980s. 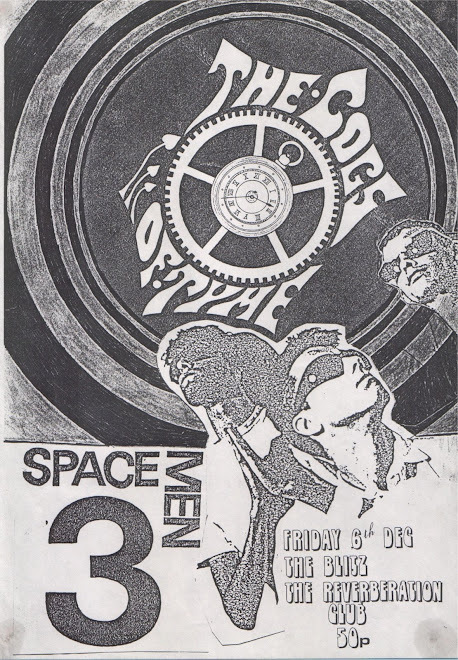 However, I did find photo evidence that J. Jesse Garon and the Desperadoes played at the same "Leeds Wig Out" venue as Spacemen 3, supposedly only two nights later. 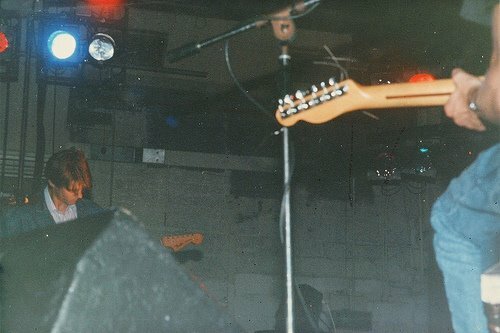 Furthermore, back-searching the J. Jesse Garon show, I found it listed on SongKicks as having actually taken place at Adam & Eve's music venue, which is conveniently located in Leeds. In conclusion, I do not know where "Wig Out" comes from or how it's exactly related to this show, but I believe the true venue of this show to be Adam & Eve's, in Leeds. It was a night put on at Adam and Eve's called the Wig Out Club, so it was both, the Wig Out Club put the gig on, I was at this gig and the support band was The Perfect Disaster. It was good from what I remember. I think I have the ticket for it somewhere still, if I find it I'll send it to the blog. Not heard the recording but from the above comment for the game noises, the place wasn't that big, the pool tables were just behind where they probably put the sounddesk. 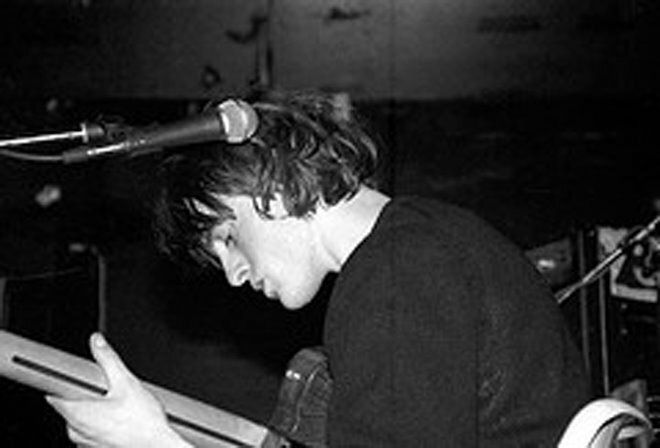 The main use of the place was as a heavy metal club at that time, with the occasional other alternative night put on. Thanks Webster. That was very helpful. That helps clear things up in multiple locations now. 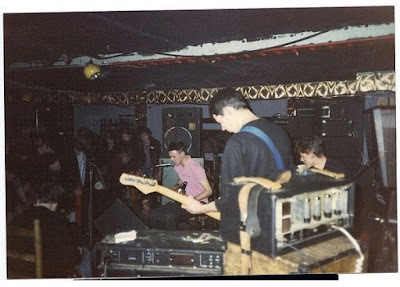 A scan of the gig ticket would be excellent, if you could manage it! No worries, otherwise. I used to go to The Wig Out! from 1987-1988. I remember seeing a b&w flyer for the night and asked one of my flatmates what garage punk was and he said I wouldn't like it ( I wonder if he really new either what it was !). So I never thought anything of it. Luckily my, soon to be friend, recommended we go as she said it was very 60s. I DJ'd there twice and it is at that venue that I discovered 60s garage music. The night was a mixture of live music and records. Three of the 4 people that ran the night were art students from Leeds Polytechnic. One of them still lives in Leeds, as I do. They had a friend who used to do the groovy 60s light projections, onto white sheets, which were a mixture of coloured oil patterns and flashing alternating images from a slide projector( with spinning LP with a square cut out hole). I used to bring my super 8 film projector down to show condensed versions of feature films and my own 'cinemateque' films of various weird,visually interesting moving images. There was nothing like the effort we made to add extra grooviness to a discotheque! I remember that The Happy Mondays were supposed to play, but it was cancelled. The venue was a bit rough and I think I was approached by a 'loose' woman who suggested I make a blue film of her, as I had my cine camera with me!